Online shopping has numerous advantages over traditional shopping, we all agree to that. Whether it is about the hassle-free purchasing, quality assurance or well-defined return policies, online retailers have gone ahead of their traditional counterparts in assuring customer service and satisfaction. In this Article, I am going to share with you the top 10 best money saving apps that can help you to save and make money in 2019. Online stores are falling over each other to offer deals, discounts, coupon codes, schemes, clubbed offers and what have you to engage customers. With the increasing popularity of mobile apps, in recent times, we have seen cashback or coupon apps or popularly dubbed as money-saving apps taking the center stage. Here is a complete step by step guide about top 10 best money saving Apps and everything you need to know about. Here is the list of Top 10 Best Money saving apps in 2019 that can help you to save more money with shopping online. Using these apps you can get up to 75% cash back after you shop. Ebates is an American cashback website was founded in 2009. Ebates headquarter is located in San Francisco, CA, United State. Ebates is a cashback app available on Android and iOS. The app offers up to 30% cashback when you shop through the app from any of its listed stores. The registration is free and there are no membership charges. The app offers cashback deals and coupon discounts along with free shipping on categories like clothes, shoes, toys, travel etc. Some of the prominent brands associated with Ebates are Hudson’s Bay, Expedia, Indigo, Old Navy, Nike, and Best Buy. This is one of the best money saving apps in the world to get up to 30% cashback when you shop from using this app. This is the best way to get your money back without doing anything. Groupon is also American e-commerce was founded in 2008. Groupon is an online deals app offering several kinds of discount coupon and cash back. It offers up to 75% off on products and services purchased from its partnered merchants and companies. Prominent categories include food & dining, travel packages, and fashion & lifestyle among others. This is another great website to help you save more money when you shop from Groupon or using their app or website. ShopAtHome is one of one of oldest Cashback shopping online Company provides coupons codes, Promo codes, saving tips, and Cashbacks. ShopAtHome offers deals on items ranging from groceries and clothing to restaurants. Shopping through the app provides the users with several rebates and rewards that can be redeemed at various hotels, computer stores, grocery stores, and other e-retailers. Some of the major brands on which you can avail offers through the app are Amazon, Macy’s, Home Depot, Hilton etc. This is one of the top money saving apps to help you save more money when you buy anything online using ShopAtHome App. Coupons.com is online Coupons website was founded in 1998. This app lets you save up to $100 at several stores like Walmart, Target, Kroger, and Dollar General! Each time you submit a receipt of no matter how much price, you receive cashback in your PayPal account. The app also offers coupon deals that can be used at the listed stores belonging from several categories. This up also can give you Instant cash back when you shop online using this app. Kiindly app, a new, dynamic and robust app, helps users save and earn cash back on their purchases from2,500 plus stores. The app is exclusively available for iOS and fetches lowest prices and highest cashback deals and discounts on fashion & lifestyle, sports ge, r, toys, healthcare and many more other categories. Users can view products, and compare their savings and cash back and make an intelligent purchase-decision in just a few clicks. Some of the prominent brands available at Kiindly are Microsoft, Disney World Tour, Nike, Amazon, Expedia etc. The app also helps close to 80,000 reputed nonprofits with their fundraising goals. This is one of new money saving apps but trusted app and can help you save a lot of money shopping online with this app. TopCashback is one of the well-known cashback apps available on iOS and Android. It offers cashback both online and in-store at over 4,300 shops including Argos, Just Eat, eBay, Expedia, Debenhams and many more. This app is offering up to 50% cash back when you buy something online using this app. This is the best free money saving apps that can help you save more money. Mobee provides cash back and gift cards when you shop at one of the stores registered with the app. It offers cash back when users answer simple questions while shopping or eating at one of its listed restaurants. Shopkick provides kicks every time you purchase something from one of the stores registered with it. These kicks can be later redeemed for free gift cards at stores like Target, Amazon, Walmart, Starbucks and many others. Registering and shopping at the app is free of cost. This is one of free money saving apps offering Instant cash back right after shopping online with this app. Yowza makes saving easy. Yowza offers easy saving tricks and offers. You can find thousands of offers and coupons from America’s leading restaurants and retailers at the app. There are various sales, best prices and must-have last-minute promotions that can help you save money big time. Coupon Sherpa offers various coupon deals, cashback offers, festival discounts and other kinds of online deals on restaurants and online retail purchases. The app offers amazing deals on groceries at all the stores that are registered with it. This article helps you to save money shopping online while using mobile apps. In this way, you don’t have to do any work, just install these apps and whenever you buy something online using these apps then you will get Instant Cashback up to 75%. This is one of the best ways to save money. 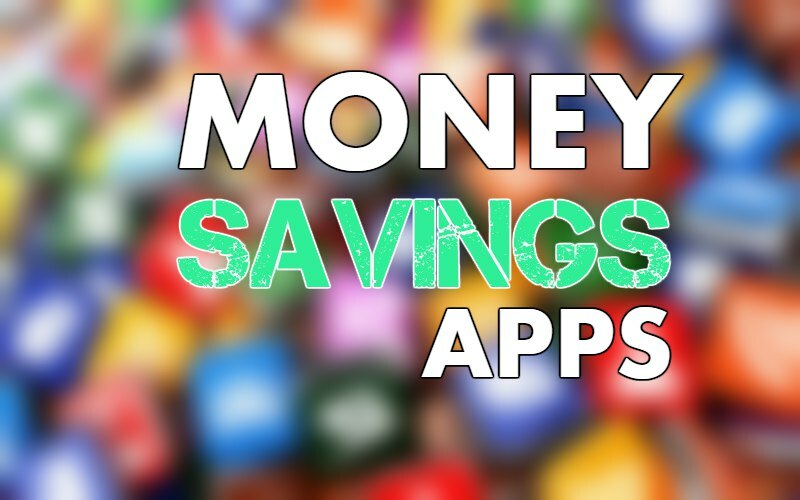 These all apps are Best Money saving Apps 2019. If you want to Make more money then read our best guide about CPA Marketing. After reading this guide you will be able to earn money with CPA Marketing. You can also find CPA networks for beginners here.